The Art of Living Lost: Chocolate Turkey? A few years ago I attended an economics conference in the city; the conference ended at 6:30 — I was meeting a friend for dinner at 8:00. Taking a cab across the park, I decided to walk the remaining 10 blocks to her apartment. Along the way I saw signs advertising chocolate turkeys. 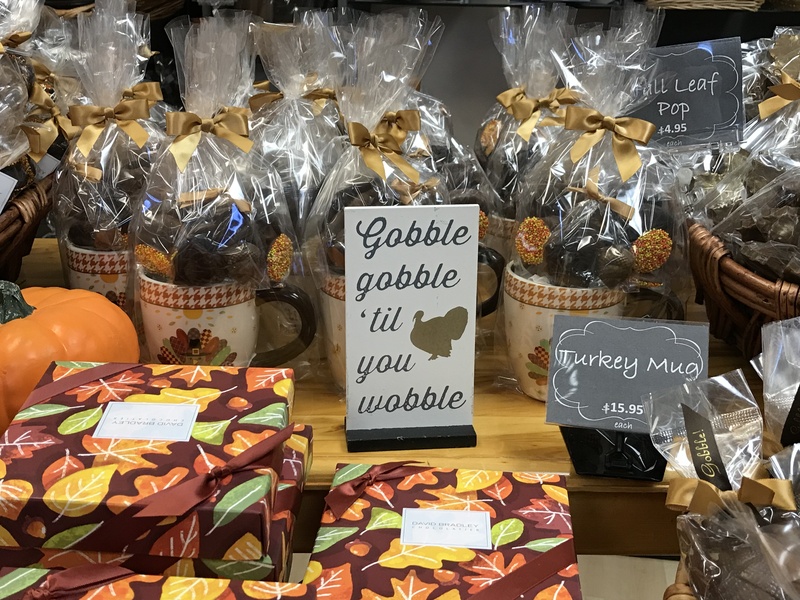 Chocolate turkeys ON SALE! Order your chocolate turkey today! As I walked I wondered, how had I never heard of this chocolate covered delicacy? Arriving at my friend’s apartment, I dropped my bags and asked “what’s with the all chocolate turkeys?”. She gave me a confused look. I tried again, “B, how do you think they make a chocolate turkey? Deep fry it and cover it in chocolate? Then quick chill the chocolate so the turkey remains moist, the skin is crispy and the chocolate is hard?”. Grrr. Yes, I mean CHOCOLATE turkeys! “Well, I think they just pour chocolate into a turkey shaped mold. You don’t really have to pre-order them, we can buy them at Duane Reade on the way to dinner”. I stopped and thought for a moment, “Oh, CHOCOLATE turkeys. No thanks, I’m making apple pie for dessert”. Some of you are thinking — DUH, while others are wondering how two obviously simple words sent my mind swirling in such a lost direction — ALL of you will think of me and laugh the next time you see a chocolate turkey!